With Carolyn Kieger leaving Marquette to take the women’s basketball head coach position at Penn State University, Marquette athletic director Bill Scholl will need to make his first major hire. He said the search will begin immediately but he does not want to rush it. Ginny Boggess – Boggess was Kieger’s first hire in 2014 and has served as her top assistant coach since then. She has been the primary recruiting coordinator and focused on developing MU’s perimeter players. Kieger has been especially complimentary of Boggess’s Xs-and-Os knowledge and motivation to mentor players. Prior to Marquette, she had coaching stops at Columbia University, Jacksonville, Hofstra and Kennesaw State. 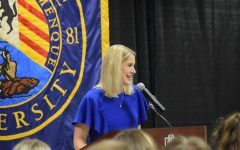 Nicki Collen – Collen, a Marquette alumna in the class of 1997, has a wide range of experience in coaching. She has made headlines for being the 2018 WNBA Coach of the Year in her first season overseeing the Atlanta Dream. She also has experience as an assistant on the WNBA’s Connecticut Sun and as an assistant for Colorado State, Ball State, Louisville, Arkansas and Florida Gulf Coast. However, it might be hard for MU to lure Collen away from the professional ranks. 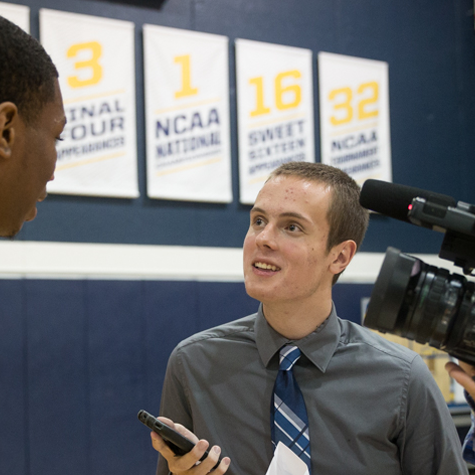 Vernette Skeete – Skeete has been a Marquette assistant for the past five seasons. Her focus has been on the defensive side of the ball and efficiency, as well as assisting with recruiting. Previously, Skeete was the head coach at Gulf Coast State College, where she was named the National Junior College Athletic Association Coach of the Year. She was also an assistant at Miami alongside Kieger. As a player, Skeete led Gulf Coast State to multiple NJCAA National Championships before transferring and helping take Alcorn State to the NCAA Tournament. Scott Merritt – Merritt is also in his fifth season as a Marquette women’s basketball assistant. His main role consists of post player development, and he has been the squad’s communicator with the strength and conditioning and training staff. Merritt, a 2004 Marquette graduate, played as the center for the MU 2003 Final Four team, sitting at 37th all-time on the program’s scoring list. Merritt played professionally in the NBA D-League and overseas before returning to his alma mater. Carol Owens – Owens wrapped up her 19th year as a Notre Dame women’s basketball assistant under legendary coach Muffet McGraw Sunday. She has mainly worked with the post players for the Fighting Irish, playing a key role in the development of a perennial national powerhouse. Her players in the post have earned a combined 33 All-American honors. Her career at Notre Dame had more than a decade of overlap with Scholl, who left in 2012 to take the athletic director position at Ball State. Owens has also served as a USA Women’s Basketball coach and was the head coach at Northern Illinois University between her coaching stints at Notre Dame. As a player at NIU, Owens notched more than 2,000 career points, and she was a four-time team captain. Jennie Baranczyk – Baranczyk is coming off her seventh season as the head coach at Drake. She has only lost one game in the Missouri Valley Conference in the last three seasons and has a 152-76 record while at Drake. She’s the first coach in the conference to have back-to-back undefeated seasons. 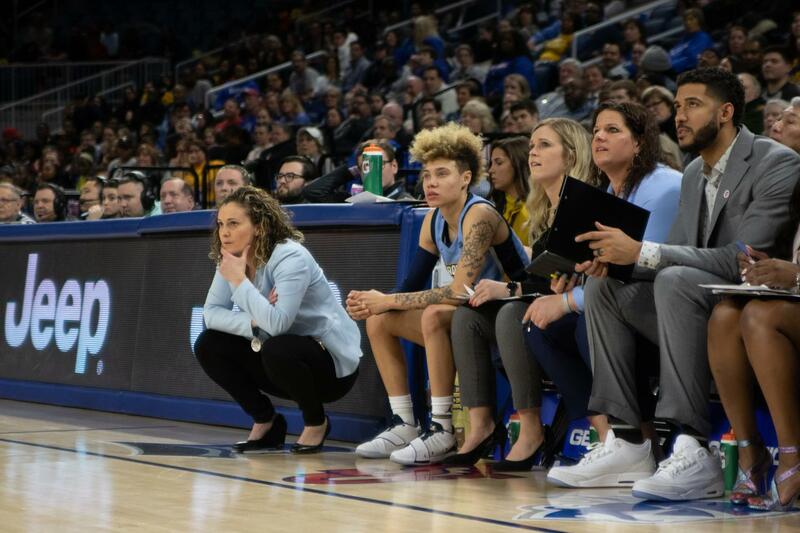 She was an assistant on former Marquette coach Terri Mitchell’s staff that took the Golden Eagles to a WNIT title, and she also made coaching stops at Colorado and Kansas State.